Madhya Pradesh State Forest Research Institute has liberated a job advertisement regarding MPSFRI Recruitment 2018. The organization invites applications from Skilled and capable candidates to fill up the 02 posts of SRF, Field Assistant. Desired aspirants who are willing to secure their job may apply by attending walk-in interview on or before the last date (6th June 2018). To get further information regarding MPSFRI Recruitment 2018, you should visit the below advertisement where you will get information about Selection Procedure, Pay Scale, Application Fee and much more. Primary Qualification: Individuals looking for this job should hold B.Sc (Bio)/ M.Sc (Botany/Forestry/Agriculture) from an accredited board / university / institute. Contenders looking for this job will be chosen according to their performance in Personal Interview. Salary and Pay Scale: Selected candidates will get the attractive salary package of Rs. 16,000/- (Post 1), Rs. 12,000/- (Post 2) Per month. Walkin Interview Date : 06-06-2018. Engineers India Limited has liberated a job advertisement regarding EIL Recruitment 2018. The organization invites applications from Skilled and capable candidates to fill up the 141 posts of Engineer, Dy Manager, Store Officer. Desired aspirants who are willing to secure their job may apply by submitting online application form on or before the last date (20th June 2018). To get further information regarding EIL Recruitment 2018, you should visit the below advertisement where you will get information about Selection Procedure, Pay Scale, Application Fee and much more. Commerce and or Company Secretary from an accredited board / university / institute. Age of the candidate should be less or equal to 28 years (Post 1), 32 years (Post 3), 35 years (Post 2), 39 or 40 years (for Dy Manager-Stores), 47 years (Post 4), 30 years (Post 5) counted from 30-05-2018.. Contenders looking for this job will be chosen according to their performance in Written Exam (for Jr Accountant)/ Personal Interview (All other Post). Starting Date / Ending Date for Online Application form Is :30-05-2018 to 20-06-2018. Budge Budge Municipality has liberated a job advertisement regarding Budge Budge Municipality Recruitment 2018. The organization invites applications from Skilled and capable candidates to fill up the 35 posts of Assistant Engineer, Sanitary Inspector, Clerk, Helper. Desired aspirants who are willing to secure their job may apply by submitting offline application form on or before the last date (20th June 2018). To get further information regarding Budge Budge Municipality Recruitment 2018, you should visit the below advertisement where you will get information about Selection Procedure, Pay Scale, Application Fee and much more. Primary Qualification: Individuals looking for this job should hold 8th/ 10th/ 12th with Diploma in Sanitary Inspector/ Degree in Civil Engineering from an accredited board / university / institute. Aspirant’s age should be in the range of 21 - 40 years (Post 1,2), 18 - 40 years (Post 3-7) counted from 01-01-2018. Contenders looking for this job will be chosen according to their performance in Written Test and or Interview. Salary and Pay Scale: Selected candidates will get the attractive salary package of Rs. 9,000-40,500/- plus Grade Pay of Rs. 5400/- (Post 1), Rs. 7100-37,600/- plus Grade Pay of Rs. 3600/- (Post 2), Rs. 5400-25,200/- plus Grade Pay of Rs. 2100/2600/- (Post 3,4), Rs. 4900-16,200/- plus Grade Pay of Rs. 1700/- (Post 5-7) Per month. How to Apply: Aspirants should have to fill this form correctly attach the copies of the credentials demanded in the form. In the end, post the application form (filled completely by the aspirant) at the address specified below before 20th June 2018. Aspirants are advised to visit budgebudgemunicipality.orgofficial website of the organization time to time for more updates. Ending Date for Receving offline Application form Is : 20-06-2018. Cantonment Board Kamptee has liberated a job advertisement regarding Cantonment Board Kamptee Recruitment 2018. The organization invites applications from Skilled and capable candidates to fill up the 16 posts of Assistant Teacher, Dance and Sport Teacher, Computer Teacher. Desired aspirants who are willing to secure their job may apply by attending walk-in interview on or before the last date (15th, 26th, 27th June 2018 and 2nd July 2018). To get further information regarding Cantonment Board Kamptee Recruitment 2018, you should visit the below advertisement where you will get information about Selection Procedure, Pay Scale, Application Fee and much more. Primary Qualification: Individuals looking for this job should hold 4th/ 12th with Diploma in Education/MS-CIT/ Knowledge of Dance and Art Teaching from an accredited board / university / institute. Aspirant’s age should be in the range of 18 - 25 Years. counted from . Contenders looking for this job will be chosen according to their performance in Written Test/ Skill Test. Salary and Pay Scale: Selected candidates will get the attractive salary package of Rs. 7,000 – 8,500/- (Post 1), Rs. 6,000-7,000/- (Post 2-5), Rs. 3,000/- (Post 6) Per month. Cantonment Board Kamptee has liberated a job advertisement regarding Cantonment Board Kamptee Recruitment 2018. The organization invites applications from Skilled and capable candidates to fill up the 03 posts of Safaikarmchari. Desired aspirants who are willing to secure their job may apply by submitting offline application form on or before the last date (31st May 2018). Primary Qualification: Individuals looking for this job should hold 4th from an accredited board / university / institute. Salary and Pay Scale: Selected candidates will get the attractive salary package of Rs. 4440 – 7440/- plus Grade Pay of Rs. 1300/- Per month. How to Apply: Aspirants should have to fill this form correctly attach the copies of the credentials demanded in the form. In the end, post the application form (filled completely by the aspirant) at the address specified below before 31st May 2018. Aspirants are advised to visit www.cbkamptee.orgofficial website of the organization time to time for more updates. Application Has To Be Sent Latest By : 31-05-2018. NTPC Vidyut Vyapar Nigam Ltd has liberated a job advertisement regarding NVVN Ltd Recruitment 2018. The organization invites applications from Skilled and capable candidates to fill up the 06 posts of Executive. Desired aspirants who are willing to secure their job may apply by submitting online application form on or before the last date (14th June 2018). To get further information regarding NVVN Ltd Recruitment 2018, you should visit the below advertisement where you will get information about Selection Procedure, Pay Scale, Application Fee and much more. Primary Qualification: Individuals looking for this job should hold Degree in Engineering or Technology in Electrical/ Electrical & Electronics/ Power Systems & high Voltage/ Electrical Instrumentation & Control/Power Electronics/Power Engineering/ CA or ICWA from an accredited board / university / institute. Age of the candidate should be less or equal to 35 years counted from . Contenders looking for this job will be chosen according to their performance in Personal Interview and /or Screening Test . Application Fee is exempted for SC/ST/PwD Candidates. Starting Date / Ending Date for Online Application form Is :23-05-2018 to 14-06-2018. Eastern Coalfields Limited has liberated a job advertisement regarding ECL Recruitment 2018. The organization invites applications from Skilled and capable candidates to fill up the 03 posts of Advisor. Desired aspirants who are willing to secure their job may apply by submitting offline application form on or before the last date (15th June 2018). To get further information regarding ECL Recruitment 2018, you should visit the below advertisement where you will get information about Selection Procedure, Pay Scale, Application Fee and much more. Primary Qualification: Individuals looking for this job should hold Retired executives of Secretarial Discipline of E-2/E-3/E-4/E-5/E-6/E-7 grades from PSUs/autonomous organizations of Central/State Govts.,Officers of Class-C & above of Central/State Govt. from an accredited board / university / institute. Age of the candidate should be less or equal to 65 years counted from 30-04-2018. Contenders looking for this job will be chosen according to their performance in Test/ Personal Interview. How to Apply: Aspirants should have to fill this form correctly attach the copies of the credentials demanded in the form. In the end, post the application form (filled completely by the aspirant) at the address specified below before 15th June 2018. Aspirants are advised to visit www.easterncoal.gov.inofficial website of the organization time to time for more updates. Ending Date for Receving offline Application form Is : 15-06-2018. Maharashtra Police has liberated a job advertisement regarding Maharashtra Police Recruitment 2018. The organization invites applications from Skilled and capable candidates to fill up the 204 posts of Assistance Intelligence Officer. Desired aspirants who are willing to secure their job may apply by submitting online application form on or before the last date (12th June 2018). To get further information regarding Maharashtra Police Recruitment 2018, you should visit the below advertisement where you will get information about Selection Procedure, Pay Scale, Application Fee and much more. Age of the candidate should be less or equal to 30 years counted from 12-06-2018. Contenders looking for this job will be chosen according to their performance in Written Test & Physical Standard . Application fee for the GEN / OBC Candidates is 525/-. Application fee for the Reserved Candidates is 325/-. Application fee for the ExSM Candidates is 100/-. Salary and Pay Scale: Selected candidates will get the attractive salary package of Rs. 5,200 – 20,000/- along with the Grade Pay which is decided as Rs. 2,400/- Per month. Starting Date / Ending Date for Online Application form Is :29-05-2018 to 12-06-2018. Downloading of Admit Card Would Be Open From : 25-06-2018. Written Exam Date : 13-07-2018 and 14-07-2018. National Culture Fund has liberated a job advertisement regarding NCF Recruitment 2018. The organization invites applications from Skilled and capable candidates to fill up the 01 posts of Senior Manager. Desired aspirants who are willing to secure their job may apply by submitting offline application form on or before the last date (16th July 2018). To get further information regarding NCF Recruitment 2018, you should visit the below advertisement where you will get information about Selection Procedure, Pay Scale, Application Fee and much more. Primary Qualification: Individuals looking for this job should hold MA/Ph.D. in Conservation of Architecture/Creative Industries and Crafts/Museum Studies/Conservation of Art and Heritage/Heritage Management/ History/ Anthropology/ Archaeology/ History of Art/ Performing Arts/Social Sciences or related fields of Culture and Art/MBA from an accredited board / university / institute. Aspirant’s age should be in the range of 30-50 years. counted from . Contenders looking for this job will be chosen according to their performance in Personal Interaction . Salary and Pay Scale: Selected candidates will get the attractive salary package of Rs. 50,000/- Per month. How to Apply: Aspirants should have to fill this form correctly attach the copies of the credentials demanded in the form. In the end, post the application form (filled completely by the aspirant) at the address specified below before 16th July 2018. Aspirants are advised to visit www.indiaculture.nic.inofficial website of the organization time to time for more updates. Ending Date for Receving offline Application form Is : 16-07-2018. Board of Revenue, Bihar has liberated a job advertisement regarding Board of Revenue Recruitment 2018. The organization invites applications from Skilled and capable candidates to fill up the Various posts of Consultant, Junior Archivist. Desired aspirants who are willing to secure their job may apply by submitting online / Email application form on or before the last date (15th June 2018). To get further information regarding Board of Revenue Recruitment 2018, you should visit the below advertisement where you will get information about Selection Procedure, Pay Scale, Application Fee and much more. Primary Qualification: Individuals looking for this job should hold Graduation in History/ Post Graduation Degree and or Diploma in Archives and Records Management with Experience from an accredited board / university / institute. Aspirant’s age should be in the range of 45-65 years (Post 1,3). Maximum age of candidates for Board of Revenue Recruitment should be 35 years (Post 2). counted from . Contenders looking for this job will be chosen according to their performance in Qualification, Experience and Interview . Salary and Pay Scale: Selected candidates will get the attractive salary package of Rs. 80,000/- (Post 1,3), Rs. 40,000/- (Post 2) Per month. Last date for receiving application form through email is :15-06-2018. Food Civil Supplies and Consumer Protection Department has liberated a job advertisement regarding Food Civil Supplies and Consumer Protection Department Recruitment 2018. The organization invites applications from Skilled and capable candidates to fill up the 120 posts of Supply Inspector. Desired aspirants who are willing to secure their job may apply by submitting online application form on or before the last date (17th June 2018). To get further information regarding Food Civil Supplies and Consumer Protection Department Recruitment 2018, you should visit the below advertisement where you will get information about Selection Procedure, Pay Scale, Application Fee and much more. Primary Qualification: Individuals looking for this job should hold Graduation Degree , CCC/ MSCIT Certificate from an accredited board / university / institute. Aspirant’s age should be in the range of 18 - 38 Years counted from 01-08-2018.. Contenders looking for this job will be chosen according to their performance in Online Examination and or Personal Interview. Application fee for the Open Candidates is 300/-. Application Fee is exempted for ExSM Candidates. Salary and Pay Scale: Selected candidates will get the attractive salary package of Rs. 5200-20200/- along with the Grade Pay which is decided as Rs. 2800/- Per month. Starting Date / Ending Date for Online Application form Is :28-05-2018 to 17-06-2018. Downloading of Admit Card Would Be Open From : 28-06-2018. Written Exam Date : 17-07-2018. Centre for Water Resources Development and Management has liberated a job advertisement regarding CWRDM Recruitment 2018. The organization invites applications from Skilled and capable candidates to fill up the 01 posts of Project Assistant. Desired aspirants who are willing to secure their job may apply by attending walk-in interview on or before the last date (30th May 2018). To get further information regarding CWRDM Recruitment 2018, you should visit the below advertisement where you will get information about Selection Procedure, Pay Scale, Application Fee and much more. Primary Qualification: Individuals looking for this job should hold Diploma in Electronics/Computer Engineering from an accredited board / university / institute. Age of the candidate should be less or equal to 28 years counted from 01-01-2018..
Salary and Pay Scale: Selected candidates will get the attractive salary package of Rs. 19,000/- Per month. Walkin Interview Date : 30-05-2018. HSCC (INDIA) LIMITED has liberated a job advertisement regarding HSCC (India) Ltd Recruitment 2018. 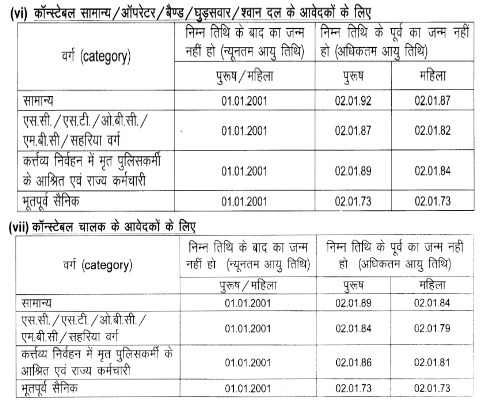 The organization invites applications from Skilled and capable candidates to fill up the 05 posts of Dy Manager, Asst. Manager, Jr Draftsman. Desired aspirants who are willing to secure their job may apply by submitting offline application form on or before the last date (25th June 2018). To get further information regarding HSCC (India) Ltd Recruitment 2018, you should visit the below advertisement where you will get information about Selection Procedure, Pay Scale, Application Fee and much more. Primary Qualification: Individuals looking for this job should hold 10th with ITI (Civil) /Graduation Degree in Architecture/ Degree in Civil Engineering from an accredited board / university / institute. Age of the candidate should be less or equal to 42 years (Post 1), 38 years (Post 2,3),34 years (Post 4) counted from 01-06-2018. Salary and Pay Scale: Selected candidates will get the attractive salary package of Rs. 50000-160000/- (Post 1), Rs. 40000-140000/- (Post 2,3), Rs. 20000-73000/- (Post 4) Per month. How to Apply: Aspirants should have to fill this form correctly attach the copies of the credentials demanded in the form. In the end, post the application form (filled completely by the aspirant) at the address specified below before 25th June 2018. Aspirants are advised to visit www.hsccltd.co.inofficial website of the organization time to time for more updates. Ending Date for Receving offline Application form Is : 25-06-2018. Rajasthan Police has liberated a job advertisement regarding Rajasthan Police Recruitment 2018. The organization invites applications from Skilled and capable candidates to fill up the 13142 posts of Constables. Desired aspirants who are willing to secure their job may apply by submitting online application form on or before the last date (14th June 2018). To get further information regarding Rajasthan Police Recruitment 2018, you should visit the below advertisement where you will get information about Selection Procedure, Pay Scale, Application Fee and much more. Primary Qualification: Individuals looking for this job should hold 8th/ 10th/ 12th from an accredited board / university / institute. Contenders looking for this job will be chosen according to their performance in Written Exam, Physical Standard Test, Physical Efficiency Test. Starting Date / Ending Date for Online Application form Is :25-05-2018 to 14-06-2018. North East Small Finance Bank Ltd has liberated a job advertisement regarding NESFB Recruitment 2018. The organization invites applications from Skilled and capable candidates to fill up the 586 posts of Credit Officer, Single Window Operator, Branch Head, Liability Officer. Desired aspirants who are willing to secure their job may apply by submitting online application form on or before the last date (15th June 2018). To get further information regarding NESFB Recruitment 2018, you should visit the below advertisement where you will get information about Selection Procedure, Pay Scale, Application Fee and much more. Primary Qualification: Individuals looking for this job should hold Graduation Degree/ Bachelor Degree with Diploma in Hardware & Networking/ B.SC/M.Sc (computer science/IT)/ B. Tech./MCA/ Graduation Degree with MBA or PGDM from an accredited board / university / institute. Age of the candidate should be less or equal to 27 years (Post 1) counted from 01-04-2018. Contenders looking for this job will be chosen according to their performance in Written Exam/Personal Interview. Ending Date for Online Application form Is : 15-06-2018. National Health Mission has liberated a job advertisement regarding NHM Rajasthan Recruitment 2018. The organization invites applications from Skilled and capable candidates to fill up the 48 posts of Specialists, Medical Officers, Dentists. Desired aspirants who are willing to secure their job may apply by submitting offline / Email application form on or before the last date (13th June 2018). To get further information regarding NHM Rajasthan Recruitment 2018, you should visit the below advertisement where you will get information about Selection Procedure, Pay Scale, Application Fee and much more. Primary Qualification: Individuals looking for this job should hold BDS/MBBS Degree and or MD/Diploma/DNB from an accredited board / university / institute. Age of the candidate should be less or equal to 65 years counted from 01.05.2018. Salary and Pay Scale: Selected candidates will get the attractive salary package of Rs. 1,00,000/- (Post 1-3), Rs. 40,000/- (Post 4,5) Per month. How to Apply: Aspirants should have to fill this form correctly attach the copies of the credentials demanded in the form. In the end, post the application form (filled completely by the aspirant) at the address specified below before 13th June 2018. Aspirants are advised to visit rajswasthya.nic.inofficial website of the organization time to time for more updates. Ending Date for Receving offline Application form Is : 13-06-2018. Last Date to Send Applications through Email : 13-06-2018. Ordnance Factory Khamaria has liberated a job advertisement regarding OFK Recruitment 2018. The organization invites applications from Skilled and capable candidates to fill up the 07 posts of Sr. Nurse, Ward Sahayak. Desired aspirants who are willing to secure their job may apply by attending walk-in interview on or before the last date (4th, 5th, 7th and 8th June 2018). To get further information regarding OFK Recruitment 2018, you should visit the below advertisement where you will get information about Selection Procedure, Pay Scale, Application Fee and much more. Primary Qualification: Individuals looking for this job should hold 10th/ 12th with GNM Course from an accredited board / university / institute. Salary and Pay Scale: Selected candidates will get the attractive salary package of Rs. 43,414/- (Post 1), Rs. 17,908/- (Post 2) Per month. Rashtriya Madhyamik Shiksha Abhiyan has liberated a job advertisement regarding RMSA, Bihar Recruitment 2018. The organization invites applications from Skilled and capable candidates to fill up the 4257 posts of Guest Teacher. Desired aspirants who are willing to secure their job may apply by submitting offline application form on or before the last date (4th June 2018). To get further information regarding RMSA, Bihar Recruitment 2018, you should visit the below advertisement where you will get information about Selection Procedure, Pay Scale, Application Fee and much more. Primary Qualification: Individuals looking for this job should hold B.Ed/ Post Graduation Degree with B.Ed / B.Tech/M.Tech from an accredited board / university / institute. Aspirant’s age should be in the range of 21 - 65 Years counted from 01-01-2018. Salary and Pay Scale: Selected candidates will get the attractive salary package of Rs. 25,000/- Per month. How to Apply: Aspirants should have to fill this form correctly attach the copies of the credentials demanded in the form. In the end, post the application form (filled completely by the aspirant) at the address specified below before 4th June 2018. Aspirants are advised to visit www.westchamparan.nic.inofficial website of the organization time to time for more updates. Starting Date / Ending Date for Receving offline Application form Is :22-05-2018 to 04-06-2018. Horticulture Department, Anantnag has liberated a job advertisement regarding Horticulture Department, Anantnag Recruitment 2018. The organization invites applications from Skilled and capable candidates to fill up the 23 posts of Gardener. Desired aspirants who are willing to secure their job may apply by submitting offline application form on or before the last date (13th June 2018). To get further information regarding Horticulture Department, Anantnag Recruitment 2018, you should visit the below advertisement where you will get information about Selection Procedure, Pay Scale, Application Fee and much more. Primary Qualification: Individuals looking for this job should hold 10th, 12th from an accredited board / university / institute. Aspirant’s age should be in the range of 18 - 40 years counted from 01-01-2018. How to Apply: Aspirants should have to fill this form correctly attach the copies of the credentials demanded in the form. In the end, post the application form (filled completely by the aspirant) at the address specified below before 13th June 2018. Aspirants are advised to visit hortikashmir.gov.inofficial website of the organization time to time for more updates. Assam Higher Secondary Education Council has liberated a job advertisement regarding AHSEC Recruitment 2018. The organization invites applications from Skilled and capable candidates to fill up the 31 posts of Junior Assistant. Desired aspirants who are willing to secure their job may apply by submitting online application form on or before the last date (30th May 2018). To get further information regarding AHSEC Recruitment 2018, you should visit the below advertisement where you will get information about Selection Procedure, Pay Scale, Application Fee and much more. Primary Qualification: Individuals looking for this job should hold 12th with Certificate Course in Computer Skills from an accredited board / university / institute. Aspirant’s age should be in the range of 18 - 44 years counted from 01-06-2018. Contenders looking for this job will be chosen according to their performance in Written Test, Computer Proficiency Test, Interview . Application fee for the GEN / OBC Candidates is 350/-. Application fee for the ST/ SC Candidates is 175/-. Salary and Pay Scale: Selected candidates will get the attractive salary package of Rs.14,000 - 49,000/-along with the Grade Pay which is decided as Rs. 6200/- Per month. Starting Date / Ending Date for Online Application form Is :15-05-2018 to 30-05-2018. Saraswat Cooperative Bank Ltd has liberated a job advertisement regarding Saraswat Bank Recruitment 2018. The organization invites applications from Skilled and capable candidates to fill up the 300 posts of Junior Officer. Desired aspirants who are willing to secure their job may apply by submitting online application form on or before the last date (4th June 2018). To get further information regarding Saraswat Bank Recruitment 2018, you should visit the below advertisement where you will get information about Selection Procedure, Pay Scale, Application Fee and much more. Aspirant’s age should be in the range of 21 - 27 years counted from 01-05-2018. Contenders looking for this job will be chosen according to their performance in Online Exam, Personal Interview. Application fee for the All Candidates is 600/-. Starting Date / Ending Date for Online Application form Is :23-05-2018 to 04-06-2018. Uttarakhand Subordinate Service Selection Commission has liberated a job advertisement regarding UKSSSC Recruitment 2018. The organization invites applications from Skilled and capable candidates to fill up the 1218 posts of Forest Guard. Desired aspirants who are willing to secure their job may apply by submitting online application form on or before the last date (4th July 2018). To get further information regarding UKSSSC Recruitment 2018, you should visit the below advertisement where you will get information about Selection Procedure, Pay Scale, Application Fee and much more. Aspirant’s age should be in the range of 18-28 Years counted from 01-07-2017. Contenders looking for this job will be chosen according to their performance in Physical Qualification, Physical Fitness Test , Written Exam, Merit List . Starting Date / Ending Date for Online Application form Is :21-05-2018 to 04-07-2018. Office of the Deputy Commissioner, Baksa has liberated a job advertisement regarding Office of the Deputy Commissioner, Baksa Recruitment 2018. The organization invites applications from Skilled and capable candidates to fill up the 11 posts of Junior Assistant. Desired aspirants who are willing to secure their job may apply by submitting offline application form on or before the last date (22nd June 2018). To get further information regarding Office of the Deputy Commissioner, Baksa Recruitment 2018, you should visit the below advertisement where you will get information about Selection Procedure, Pay Scale, Application Fee and much more. Primary Qualification: Individuals looking for this job should hold Bachelor Degree with Diploma in Computer Applications from an accredited board / university / institute. Aspirant’s age should be in the range of 18-44 Years counted from 01-01-2018. Contenders looking for this job will be chosen according to their performance in Written Exam, Computer Proficiency (Practical) Test. Salary and Pay Scale: Selected candidates will get the attractive salary package of Rs. 14000-49000/- along with the Grade Pay which is decided as Rs. 6200/- Per month. How to Apply: Aspirants should have to fill this form correctly attach the copies of the credentials demanded in the form. In the end, post the application form (filled completely by the aspirant) at the address specified below before 22nd June 2018. Aspirants are advised to visit baksa.gov.inofficial website of the organization time to time for more updates. Ending Date for Receving offline Application form Is : 22-06-2018. Solar Energy Corporation of India Limited has liberated a job advertisement regarding SECI Recruitment 2018. The organization invites applications from Skilled and capable candidates to fill up the 06 posts of Senior Engineer. Desired aspirants who are willing to secure their job may apply by submitting offline application form on or before the last date (21st June 2018). To get further information regarding SECI Recruitment 2018, you should visit the below advertisement where you will get information about Selection Procedure, Pay Scale, Application Fee and much more. Solar/ Civil Energy/ Renewable Energy/ Power Systems, Officers from the Central Public Sector Enterprises/ Government holding analogous posts on regular basis in the parent cadre Department. from an accredited board / university / institute. Age of the candidate should be less or equal to 30 Years counted from 21-06-2018. How to Apply: Aspirants should have to fill this form correctly attach the copies of the credentials demanded in the form. In the end, post the application form (filled completely by the aspirant) at the address specified below before 21st June 2018. Aspirants are advised to visit www.seci.co.inofficial website of the organization time to time for more updates. Ending Date for Receving offline Application form Is : 21-06-2018. Uttarakhand Postal Circle has liberated a job advertisement regarding Uttarakhand Postal Circle Recruitment 2018. The organization invites applications from Skilled and capable candidates to fill up the 744 posts of Gramin Dak Sevaks. Desired aspirants who are willing to secure their job may apply by submitting online application form on or before the last date (20th June 2018). To get further information regarding Uttarakhand Postal Circle Recruitment 2018, you should visit the below advertisement where you will get information about Selection Procedure, Pay Scale, Application Fee and much more. Aspirant’s age should be in the range of 18-40 years counted from 21-05-2018. Contenders looking for this job will be chosen according to their performance in Merit List . Starting Date / Ending Date for Online Application form Is :21-05-2018 to 20-06-2018. Bihar Police has liberated a job advertisement regarding Bihar Police Recruitment 2018. The organization invites applications from Skilled and capable candidates to fill up the 126 posts of Excise Sub Inspector. Desired aspirants who are willing to secure their job may apply by submitting online application form on or before the last date (30th June 2018). To get further information regarding Bihar Police Recruitment 2018, you should visit the below advertisement where you will get information about Selection Procedure, Pay Scale, Application Fee and much more. Contenders looking for this job will be chosen according to their performance in Written Test (Pre + Main) & Physical efficiency Test . Application fee for the GEN / OBC Candidates is 700/-. Application fee for the ST/ SC Candidates is 400/-. Salary and Pay Scale: Selected candidates will get the attractive salary package of Rs. 9,300 – 34,800/- along with the Grade Pay which is decided as Rs. 4,200/- Per month. Starting Date / Ending Date for Online Application form Is :22-05-2018 to 30-06-2018. Department of Posts has liberated a job advertisement regarding Department of Posts Recruitment 2018. The organization invites applications from Skilled and capable candidates to fill up the 10 posts of Staff Car Driver. Desired aspirants who are willing to secure their job may apply by submitting offline application form on or before the last date (25th June 2018). To get further information regarding Department of Posts Recruitment 2018, you should visit the below advertisement where you will get information about Selection Procedure, Pay Scale, Application Fee and much more. Primary Qualification: Individuals looking for this job should hold 10th with valid driving license from an accredited board / university / institute. Aspirant’s age should be in the range of 18-27 years counted from 25-06-2018. Contenders looking for this job will be chosen according to their performance in Driving test . Salary and Pay Scale: Selected candidates will get the attractive salary package of Rs. 19,900/- Per month. How to Apply: Aspirants should have to fill this form correctly attach the copies of the credentials demanded in the form. In the end, post the application form (filled completely by the aspirant) at the address specified below before 25th June 2018. Aspirants are advised to visit www.indiapost.gov.inofficial website of the organization time to time for more updates.